It is hard to believe that the last time I wrote about plesiosaur toys here was in March 2011, over six years ago (http://plesiosauria.com/news/index.php/new-plesiosaur-replicas-for-2011/). Since then, many more new plesiosaur figures have hit the shelves, well, online stores – you’ll do well to find any of these toys in actual brick and mortar stores. The least I can do at this stage is summarise some of the latest additions to my ever-growing collection of plesiosaur models over the past several years. Safari Ltd have added two plesiosaurs to their Wild Safari line since they released their Liopleurodon in 2010: an Elasmosaurus (2013) and a Kronosaurus (2017). I was grateful for the opportunity to work closely again with the Safari Ltd sculptors as a consultant on these. In 2011 I praised CollectA as a “blossoming company” and the CollectA flower has continued to blossom in subsequent years. 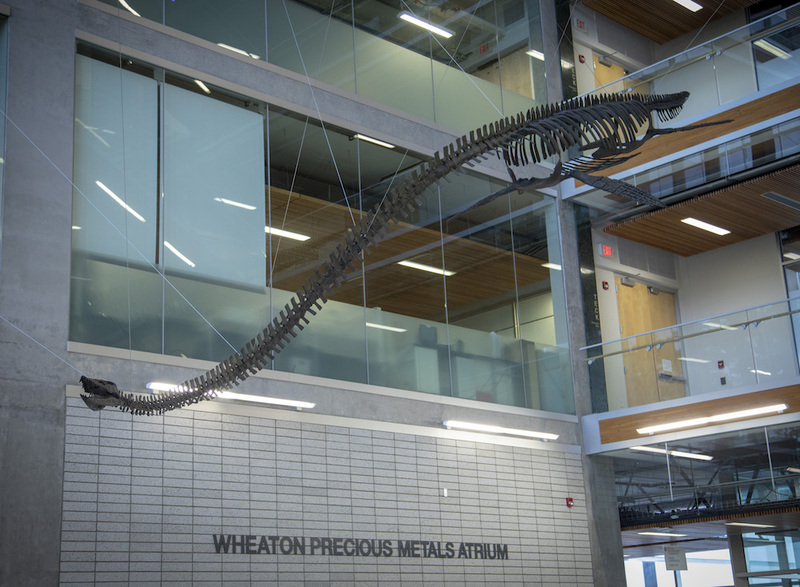 They have produced four plesiosaurs, including familiar and obscure taxa, Dolichorhynchops (2012), Pliosaurus (2015), Thalassomedon (2016), and Kronosaurus (2017). The company has a reputation for selecting species other than the usual suspects, and for that I’m glad, we have more than enough Elasmosaurus and Liopleurodon already. Both Safari Ltd and CollectA released a large Kronosaurus in 2017. This presented picky collectors with a difficult choice since both models are very good. CollectA have also released miniature versions of the ‘Deluxe’ size Pliosaurus and their older standard size Liopleurodon as part of their growing series of tube collections. 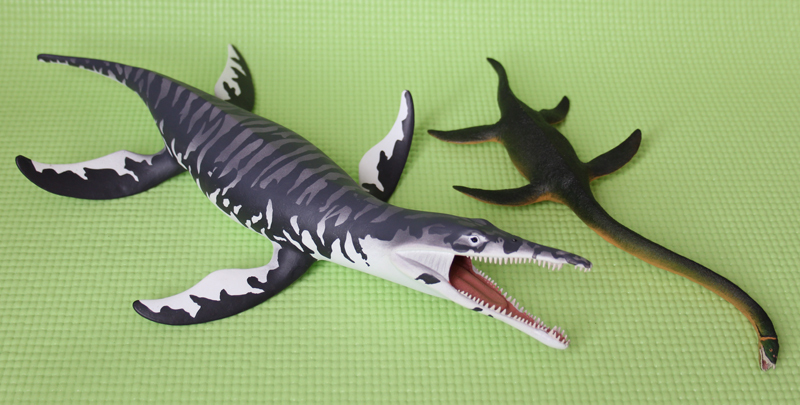 2014/2015 saw the release of three plesiosaurians by Geoworld in their Sea Reptiles Collection: Kronosaurus, Liopleurodon and Elasmosaurus. They’re nothing special and pretty bad when it comes to accuracy but still irresistible to completists like me. I unboxed the entire Sea Reptiles Collection on the Dinotoyblog Youtube channel if anyone is interested. 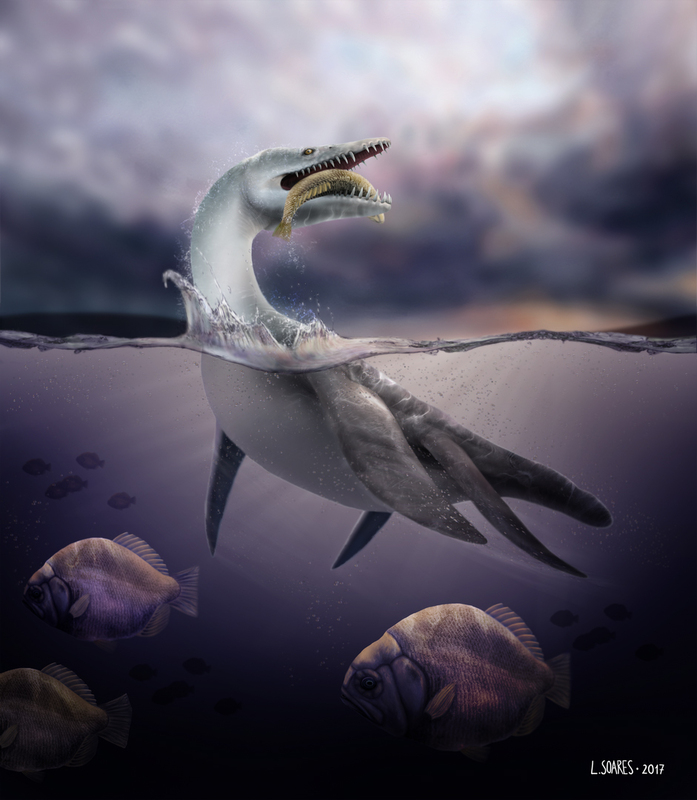 Bullyland presented a single plesiosaurian offering in the last half decade: a Liopleurodon with an articulated jaw in 2016. Good to see the German company still in the picture, at least. 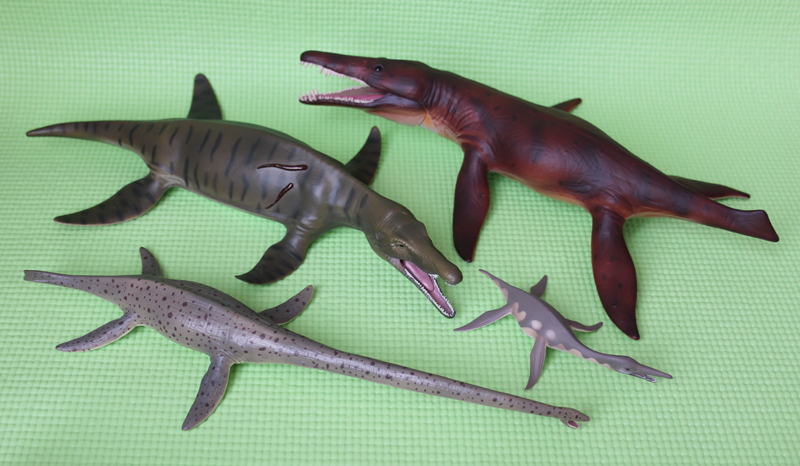 Lastly, to round up the group, De Agostini is a newcomer to the world of plesiosaur toys. The Italian company created some particularly cute plesiosaurians as part of their ‘Dinosaurs and Friends’ children’s book series. A family of Plesiosaurus (mummy, daddy and baby) and a father and son pair of Kronosaurus. That’s not an exhaustive list but it is more than enough to keep collectors on their toes!